The West Palm Beach Chapter of the National Coalition of 100 Black Women, Inc. (NCBW) had its genesis in 1993 with a steering committee of eight women, brought together by Ethel E. Isaacs (pictured 3rd from left), and installed by National President, Barbara DeBaptiste (April 24, 1994). Mrs. Ethel Isaacs Williams served two consecutive terms as the local chapter’s president. 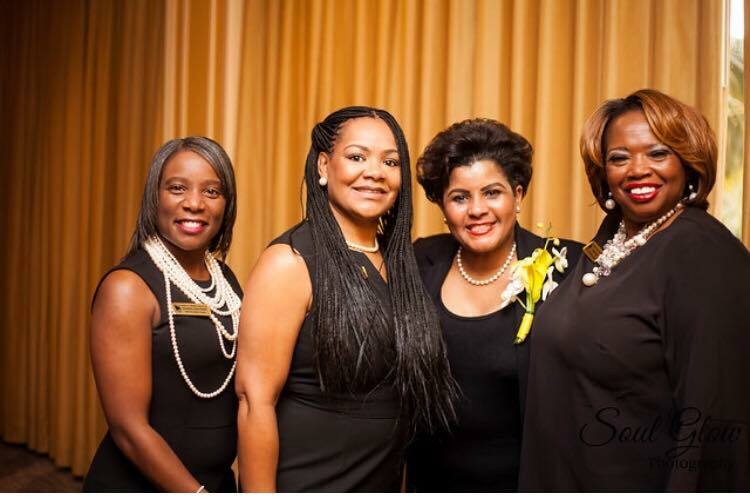 NCBW is a non-profit volunteer organization committed to addressing the needs of African American women through mentoring, advocacy, leadership development and economic empowerment. NCBW was organized in New York City in 1981 to create a national network to meet the expressed desire for a vehicle to serve the multiple needs of contemporary black women, her aspirations, her growth and her concerns for the community. To learn more about the National Coalition of 100 Black Women, visit their website at www.ncbw.org.